Writing and publishing a book can be a rewarding or frustrating experience depending on how you approach it. These seven questions will help you avoid frustration, and focus your energies on the steps that will bring you the best results for your investment of time, money and effort. #1 / How do you define success with your book? People write books for wildly different reasons; you need to be clear on yours. Are you writing because you want to see your name in print? Are you putting together a book to raise your credibility with your (potential) clients? Will the book be a failure if it fails to sell 100,000 copies? Do you mainly want to share an important message with family and friends? Do you want the prestige that comes from being published by a major publishing house? Are you seeking to start a movement or influence an election? How you define success will determine every step you take in writing and publishing your book. #2 / How does this book fit into the big picture for you? Does this book extend your career or ministry? Will you, for example, take this book with you on speaking engagements to reinforce and extend your message? Will you require your students to purchase it as a textbook for the course you offer? This is important to consider. If you are an established expert on microbiology and you write a book on microbiology, you have the contacts and the credentials to get your book into the hands of many people. But if you write a book on stamp collecting, you may need to start from scratch, requiring you to make a much greater investment of time and money to get the same results. You will also want to consider whether your book will fit into a series or package of resources. It requires much more effort and expense to find a new customer for a new book, than it does to sell a second book to the same customer. #3 / Who is your reader? New authors frequently make the mistake of thinking everyone will be interested in their book. Bad idea. When you market to everyone, you interest no one. But when you identify a specific reader, e.g., single moms in their 30s, professional chefs, backyard mechanics, you give definition to the marketing process and make it much, much easier to sell your book. You should know who your reader is before you write your book. It helps you include and exclude material based on your reader’s interests. Yes, you might have secondary audiences for your book. That’s fine. Begin by marketing to your #1 target reader. Once you’ve achieved success there, you can branch out and begin tackling other groups. #4 / Why will your reader want to own and read your book? What motivates your reader? Will your reader get excited about your book because it will show her how to save money at the grocery store? Will she learn how to ask for a raise? Will your conflict resolution strategies empower your reader to enjoy a more satisfying marriage? What are your benefits? What does the book do for your reader, and why does your reader care? If you don’t know the answers to these questions, it might be good to organize an informal focus group (invite a few friends over who represent this reader group) to talk about this so that you can hear the benefits expressed in the reader’s own words. Take careful notes; this will be the foundation for your marketing campaign. By the way, even if your publisher takes care of marketing your book (a rarity for new authors), you need to have answers to these questions so that you can understand and contribute to your publisher’s marketing efforts. Even if your book is fiction, you should have some idea who reads the type of fiction you are writing and why they read it. What does it do for them? If you don’t know, start asking. #5 / How do you want your reader to respond? What action do you want your reader to take as a result of reading this book? Examples: Plan a short term missions trip. Invest in gold. Enroll in your course on real estate development. Change the way he thinks about marriage. Will you include any type of response device such as an order form in your book itself? #6 / How will you get this book into the hands of your readers? #7 / How are you going to meet your goals? Do you know what steps you will take to achieve your goals? Do you know what to include and what not to include in your book? Do you have a clearly understand how you will frame your main message? (This is different than a topic. Marriage is a topic. “Your marriage will improve if you pray together with your spouse daily” is a main message.) Do you know what book features you will need to accomplish your goals? About how long will the book be? How many pages? What will the book look like? Will the book require any special features or formatting? Illustrations, charts, diagrams, footnotes, index, bibliography, photographs, etc. What publishing arrangements will you make? Will you self publish or work with a traditional publisher? Will you go with hard cover, paperback, digital download or audio book? What is your level of competence with each of these areas? How much time—realistically—do you have to do this? What do you want to do yourself, and what do you want to hire out? What source material will your writer use to create your book? Recordings of presentations? Interviews? Written or online materials? Other research? 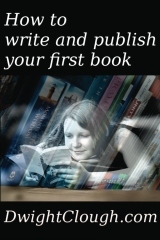 The above is an excerpt from my book, How to Write and Publish Your First Book, available here.